YAH members split up into two different groups in North and South Orange County, then held bake sales to benefit Syrian Refugee Children and OC Families in need. Date: November 1, 2015, Sunday at 12 pm. YAH members baked and decorated various pastries, including brownies, cookies, cupcakes, etc. in order to deliver them to the homeless. YAH members participated in the Turkey Trot to benefit the Orange County Rescue Mission. In September, we helped set up and helped with games centers at the ISCC/Mahak family festival in Irvine. It was a fun day and we helped raise money to fight childhood cancer. In September, we did a backpack drive with the help of many OC YAH families and were able to supply over 60 backpacks filled with cool back to school supplies for families in need in Orange County. We got together one day and filled the backpacks and got them ready to be picked up /delivered to families for school preparation. About $9,000 was our net proceeds from OC's Got Talent 2015. This amount was sent to Orange County chapter of StandUp For Kids, to benefit homeless teenagers in Orange County. The OC's Got Talent show was held at the Crossing Church, in Costa Mesa. It was a great show, featuring dance routines, song, music (classical to rock to country to Persian). It was very diverse and very entertaining. Thank you to all our performers, our volunteers, our MC, Em Hantkey of Comdey Sportz, LA. pantry for the homeless, in Orange, CA. homeless, through Orange County Rescue Mission. We even burned off some pre-meal calories! youth ambassadors of hope website or Facebook page. In August of 2014, YAH members had a backpack drive to benefit the Corazon de Vida orphanage in Mexico. A generous sponsor donated many backpacks and YAH members donated school supplies for the children in Mexico. This backpack drive was for the Ebenezer Orphanage of the Corazon de Vida Organization. Comedian K-von, see the art show and meet Khalida. treatment. Khalida, who is very grateful for all the help, has met the YAH group several times. In March of 2014, YAH members had a fun day of painting at a local art studio, Haleh Art Studio. The purpose of the Art Day was to create paintings which would later be auctioned off to raise funds for supporting Khalida, a 14 year old Afghan girl, in need of multiple surgeries to remove tumors and for reconstruction of her face. Khalida was invited to attend and she also had fun painting with the YAH group. In December of 2013, the member of Youth Ambassadors of Hope used funds raised at their October bake sale to purchase Christmas gifts for the families supported by Children’s Hope International in Orange County. They gift wrapped and delivered the gifts to the office of Children’s Hope. The gifts were then delivered to the Orange County Children supported by Children’s Hope International. In November 2013, the YAH group chartered a bus and visited the Getty Villa in Malibu to see the museum and the Cyrus Cylinder special exhibition. On loan from the British Museum, The Cyrus Cylinder and Ancient Persia: A New Beginning was on tour in the US for a short time. Found at Babylon in 1879, the Cyrus Cylinder is among the most celebrated discoveries from the ancient world, with a legacy that resounds to this day. Inscribed with cuneiform script, the Cylinder records the conquest of Babylon in 539 B.C. by the Persian king Cyrus the Great (ruled 559–530 B.C.). It states, in Cyrus's own words — how, on taking control of Babylon, he restored religious traditions, and permitted those who had been deported to return to their settlements in and around Babylonia. On October 19, 2013, a group of YAH members attended the TEDx Youth presentation “Mind The Gap” in Costa Mesa and enjoyed the variety of inspiring and fun presentations from their peers. They listened to stories from other youth as well as adults about innovation, success and life in general. They also got to sign the replica of the “Before I Die” wall and express what they would love to do and achieve in their lives. In September of 2013, YAH group members volunteered at Children’s Hope International’s annual gala, did fundraising, sold raffle tickets and presented information about their own organization (YAH). 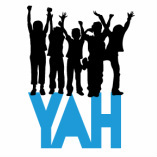 In March 2013, the YAH group held a very successful bake sale in south Orange county. The funds raised were distributed through YAH’s parent group, Children’s Hope International Literacy & Development to provide Norouz Eidy (Persian New Year’s gifts) to children in Orange County, CA and in the refugee school in Adana Turkey, supported by Children’s Hope International.